Serving Montcalm, Ionia, Kent and Gratiot counties. 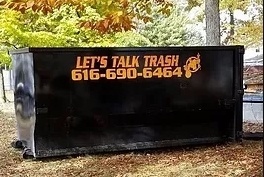 At Let's Talk Trash LLC we offer competitive pricing to help with your dumpster needs. 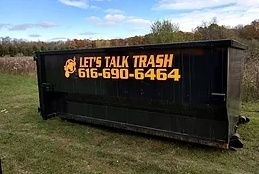 Why Choose Let's Talk Trash LLC? 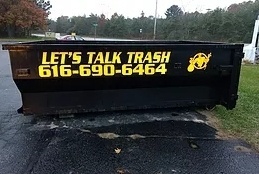 Competitive pricing on all dumpster rentals. No hidden surcharges of any kind! We offer anywhere from 1 day to 7 days standard rental periods. Call us at 616-690-6464 or submit the form below to schedule an appointment!